This is the one that so many of us have been waiting for! 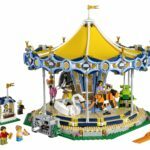 Since the release of LEGO Friends’ 41130 Amusement Park Roller Coaster, even since the first Amusement Park set from Creator Expert, the coveted 10196 Carousel, there has been that question – “do you think they’ll do a big roller coaster?”. 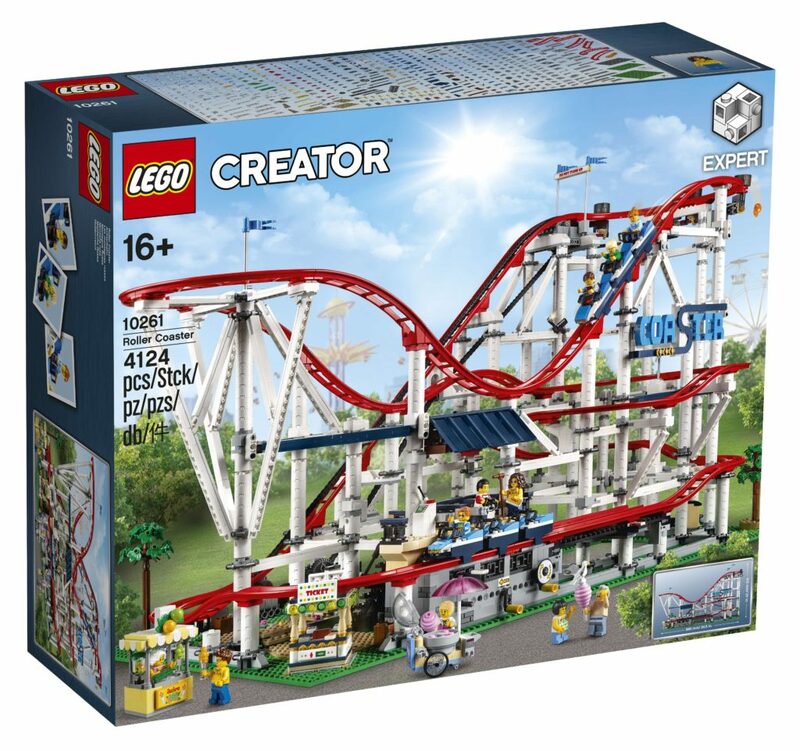 Well, our questions have been answered in 10261 Creator Expert Roller Coaster. It’s a brilliant set! By big, I mean really big. 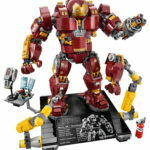 This monster weighs in at 4124 pieces, and a whopping price of $379.99 US – DE 329.99€ – UK £299.99. No official word on Australian prices yet, but I’m estimating close to the AU $499.99 mark. Confirmed – it’s AU $499.99! Big money, but totally worth it. Strap in folks, it’ll be big. It’s available from May 16th, 2018 for VIP Early Access and release for everyone else on June 1. The price isn’t the only thing that’s big with this one. It’s also a huge set, as seen in the product video below. It measures over 20” (53cm) high, 34” (88cm) wide and 16” (41cm) deep. That’s a really big set. To put it into perspective, it’s over an inch wider than 75192 Millenium Falcon, and 4 inches taller than 10256 Taj Mahal. There’s 11 minifigures, and a ton of features in this set. 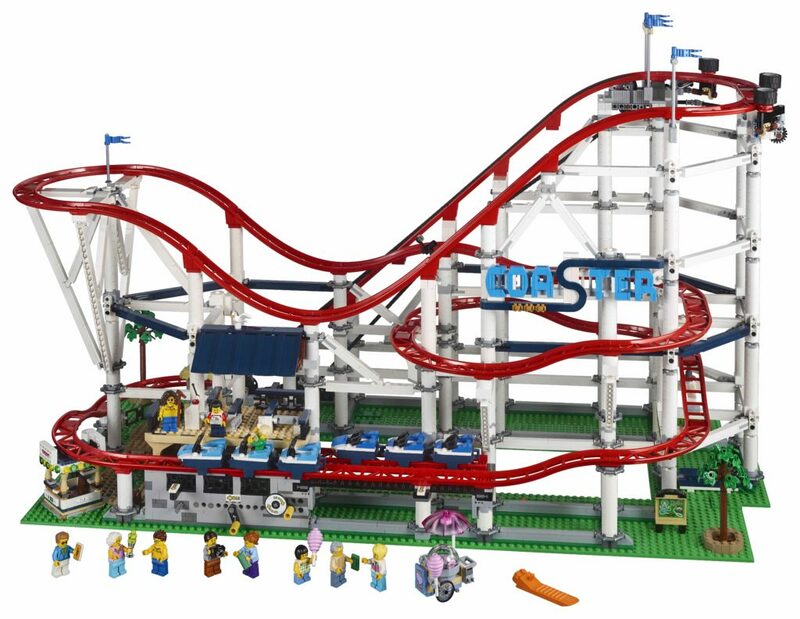 Two coaster trains that move, options to add in Power Functions and LEGO BOOST motors, a 44-piece track in vivid red, new plant and cotton candy elements, cameras to capture the faces of the riders, a gorgeous brick-built sign, and so much more. I’m particularly excited about the options for LEGO BOOST, as I’ve been building them at work, and they’re exceptional. It adds a whole new element to LEGO sets! I know you want to see more, so I’ll leave you with a couple of videos – a product video, and a cute stop motion video created by LEGO. The first person point of view of the ride is great! There’s also the full press release! There’s only two images with this one, but there’s plenty of detail in the videos. I’ve already watched them over and over! I’d also love to know what you think! Let me know in a comment below. Will your amusement park be getting a new ride?